Although this book was published by a traditional children’s book publisher and is ostensibly for kids, I urge adult space enthusiasts to get themselves a copy! 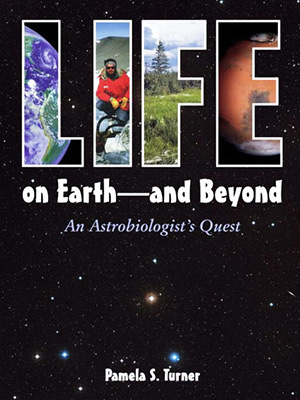 Life on Earth and Beyond by Pamela S. Turner is packed full of glorious photos of expeditions to extreme environments and the microbial denizens that inhabit these space-like places. The title is rather misleading because although this book is indeed about life on Earth, it is really about microbes that live in extreme environments analogous to conditions on Mars in the past and perhaps in the present. Learning about how microbes survive in these places provides hope that life, or at least fossils, will be found on the Red Planet or in the dark oceans of Europa. For example, the book recounts how scientists revived frozen microbes buried for three and a half million years in the permafrost of Siberia. How long might Martian microbes stay viable under similar conditions? Would radioactive decay of elements in the soil kill them after a billion years? Wouldn’t you like to go to Mars and find out?! 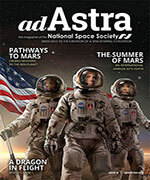 The subtitle “An Astrobiologist’s Quest” refers to NASA scientist Chris McKay, whose quests include multiple visits to Mars analog sites around the globe. Photos from his expeditions make the reader feel like they are there with him, in the hot Sahara Desert chipping a sample off a rock with his hammer, or underwater planting a sensor at the bottom of an Antarctic lake. After reading this book, I was ready to pack my bags and head off on an adventure to these remote places. Many students are likely to be similarly inspired to follow this wonderful role model into a science career. Humorously written sidebars add definitions and details. “What Is Life?” explains that even though cars “eat” gasoline and give off heat and gases, they aren’t alive because they can’t make baby cars. A list of resources included more gems I plan to acquire. Life on Earth–and Beyond could easily be described as a coffee table book. I’d encourage adults with waiting rooms to sit one on the table for patients/clients to browse with or without their kids. Teachers and librarians will surely want to add this to their collections. And if you do have a young explorer in the family, this book is sure to get them outside looking for microbes under and even inside rocks. Don’t be surprised if they ask if your next vacation can be to Antarctica or maybe Death Valley, California. 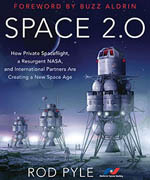 The explorations and discoveries about life on Earth will prepare them well for their future trips to Mars.